What are bifacial solar modules and how do they work? What are bifacial solar modules? Bifacial solar modules offer many advantages over traditional solar panels. Power can be produced from both sides of a bifacial module, increasing total energy generation. 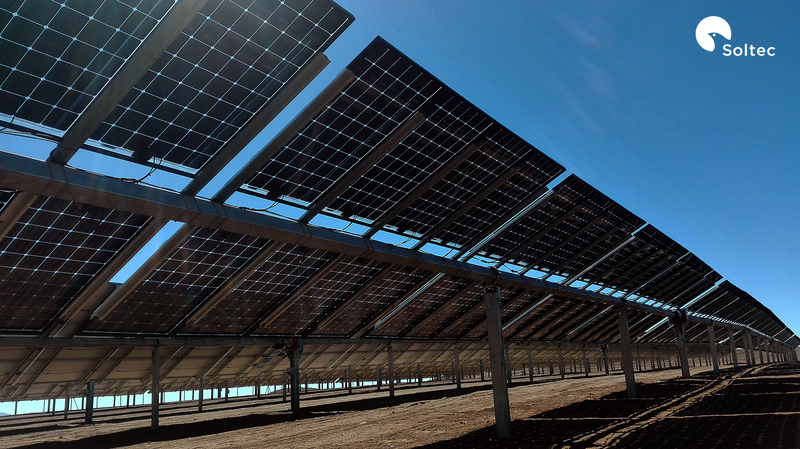 They’re often more durable because both sides are UV resistant, and potential-induced degradation (PID) concerns are reduced when the bifacial module is frameless. Balance of system (BOS) costs are also reduced when more power can be generated from bifacial modules in a smaller array footprint. Some companies with bifacial modules currently on the market include LG, LONGi, Lumos Solar, Prism Solar, Silfab, Sunpreme, Trina Solar and Yingli Solar. As more manufacturers begin production, bifacial modules look to be a niche product entering the mainstream. What is a bifacial solar module? Bifacial modules produce solar power from both sides of the panel. Whereas traditional opaque-backsheeted panels are monofacial, bifacial modules expose both the front and backside of the solar cells. When bifacial modules are installed on a highly reflective surface (like a white TPO roof or on the ground with light-colored stones), some bifacial module manufacturers claim up to a 30% increase in production just from the extra power generated from the rear. Bifacial modules come in many designs. Some are framed while others are frameless. Some are dual-glass, and others use clear backsheets. Most use monocrystalline cells, but there are polycrystalline designs. The one thing that is constant is that power is produced from both sides. There are frameless, dual-glass modules that expose the backside of cells but are not bifacial. True bifacial modules have contacts/busbars on both the front and back sides of their cells. How are bifacial modules installed? The way a bifacial module is mounted depends on its type. A framed bifacial module might be easier to install than frameless, just because traditional mounting and racking systems are already adapted to framed models. Most bifacial module manufacturers provide their own clamps to mount their specific brand, taking away any installation hesitations. For frameless bifacial modules, the module clamps will often feature rubber guards to protect the glass, and special care must be taken to prevent overtightening bolts and damaging the glass. The higher a bifacial module is tilted, the more power it produces from its bifacial properties. Bifacial modules mounted flush to a rooftop block any reflected light from reaching the backside of the cells. That’s why bifacial modules perform better on flat commercial rooftops and ground-mounted arrays, because there is more room for tilt and bouncing reflected light to the rear of the modules. The mounting system itself can affect the performance of the bifacial modules. Racking systems with support rails usually covered by a monofacial module’s backsheet will shade back rows of bifacial cells. Junction boxes on bifacial panels have become smaller or separated into multiple units positioned along the panel’s edge to prevent shading, too. Mounting and racking systems specially formatted for bifacial installations take out the question of backside shading. What is the outlook for bifacial modules? Last year, Vincent Ambrose, Canadian Solar’s general manager for North America, told Solar Power World that bifacial modules were really going to take off in the next few years. Chinese panel manufacturer LONGi Solar believes we’re entering a new era of PV, one where high-efficiency modules are supreme. Bifacial technology supports the concept of using quality materials for high-energy yields. 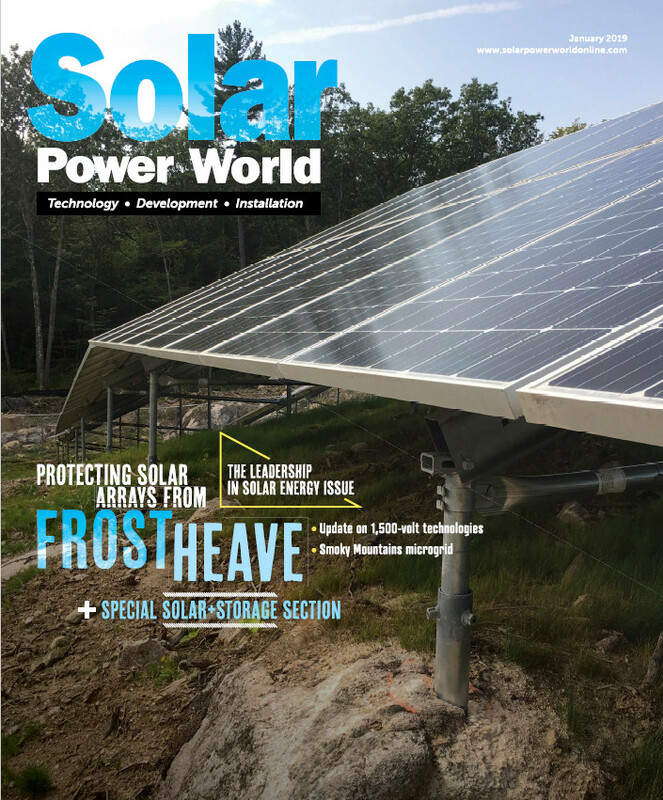 Installers will normally prefer PERC modules to BI FACIAL modules for ground mounted installations because BI FACIAL modules require a higher tilt angle .This will drive up the cost of the Module mounting structures.In Installations of 100MW and above the number of module mounting structures are significant. A small increase in the individual MMS cost will significantly impact the Project cost. As of now PERC modules appear to be cost effective for large ground mounted installations compared to BI FACIAL. There are instances where a client may want to put off doing solar as they are planning to do a new roof in 2-5 years. With the Bi Facial panels, you can conceivably roll in the cost of a new roof into the solar cost and receive the 30% ITC on both roofing and solar costs. I am in Canada and I am very curious as to how the modules will perform in different situations. Flush mount on shingles, flush mount on lightly coloured metal roofs, ground mount and rooftop mount. Is there racking systems specifically designed for a flush mount bifacial system? And do clear back sheets allow for more light to pass through the module and add reflective light to the backside or is it just not worth it to use a bifacial module on a flush mount system? I have only been able to find racking systems specifically design for bifacials on ground mounts and flat roof systems and nothing for flush mount. Would be awesome if there was some hard numbers on additional backside gain! In general, bifacial modules are not recommended for flush-mount systems, because then there isn’t enough room to reflect light onto the backside. Even with a light-colored roof, there still isn’t room for reflection. I can see a strong benefit if an additional efficient concentrating reflector is placed to shine on the back side.Additional expense would be incurred but possibly not too much to be quickly offset by the higher power yield. Maybe break from the traditional picture fame style panel to one with cells parallel to the light source and reflectors directing light to cells from both sides. For me the problem is not about the overgain you have but how to known which plus you’ll have in your specific facility. At the end you will pay more but, how much energy you’ll generate? What does it means up to 30%? It will be with the best conditions but in other cases? There are two many kinds of grounds and roofs. How can I guarantee the customers the % extra gain? I am confused. I own a solar business and I can’t see the benefit of a bifacial PV panel that only produces, according to this article, 30 % more power than the older type. If you were to place 2 PV panels side by side and connected to each other, you would produce 100% more power. The only advantage that I see is where there is a very limited amount of space to mount the panels. Overall, bifacial panels can give you more energy gains. I don’t think the aim of bifacial panels is to get you to use fewer panels on an array, but they provide the option to produce more power using the same amount of panels (as long as the installation conditions support bifacial modules). If you have the option to install bifacial panels, why not? It all comes down to cost. + If the bifacial panels cost 30% more and actually deliver 30% more power, then I am indifferent to which panel I choose unless I have an installation space constraint. + If the bifacial panels cost 30% more and might possibly deliver up to 30% more power under just the right installation conditions, then I would never choose bifacial panels because this would be like making a bet where the best I could do is break even and that is everywhere and always a suckers bet. + If the bifacial panels cost 50% more and actually deliver 30% more power, then I would never install them unless I had an installation space constraint. The cost per KW of installed capacity would be higher. The increase in capital cost is once off, the increased yield is for the life of the system. One cannot be simply traded off against the other. Yes you can. Example: if the cost is double but the output is only 80% more it will never stack up. Not 100% if one side is facing the sun. Intersolar.de was introducing frameless and bifacial panels nicely! I’m from Finland and as U know, our sun is located very low during wintertime; as all nordic regions. We still have a lot sunny hours, also based on our location. Frameless, bifacial (double glass) panels would be good solution, because of white snow, vertical installation, lots of space, wall constructions etc. Should be developed/found better installation and fixing systems to get further. My customers would be ready start piloting/testing “Clever Fixing”! Keep on discussion, please! Kind regards.